Today in our Philadelphia native plant woodland garden we were doing some transplanting of potted plants into the ground. It was a cool, very cloudy day with occasional showers, a perfect Spring Day for this exercise. 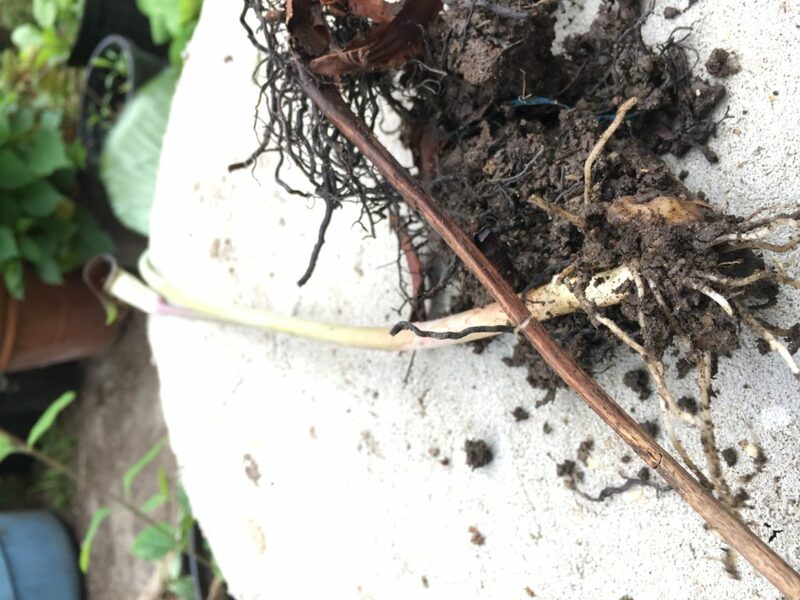 This Arisaema triphyllum was removed from its pot, and all of the dirt fell off of its root bulb. Great opportunity to get a picture! Nice to see the undersides of the leaves as well! Below is a complete morphological profile of the young plant, the bulb, the flower and the leaves. 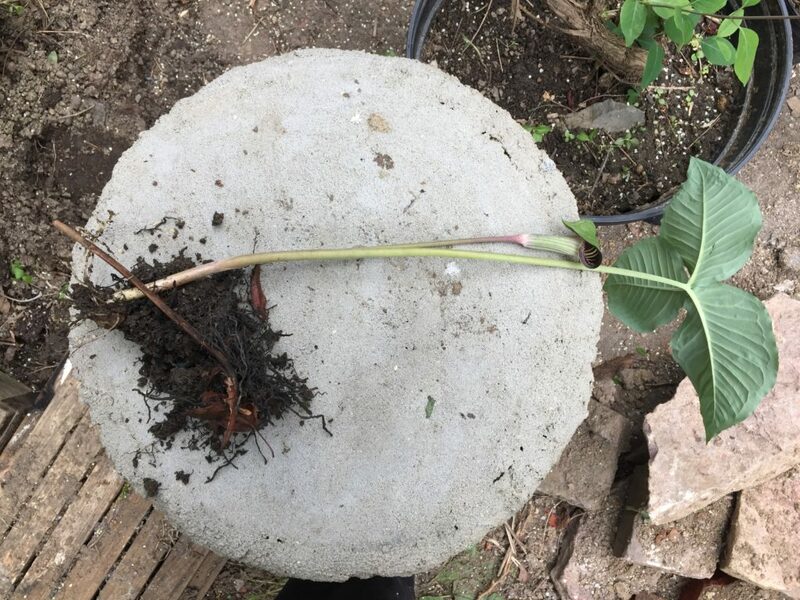 Maybe by next year, if it survives this transplanting, it will have two sets of leaves. Here it is, the bulb. Very soon after the picture was taken, we plopped this little guy back in the dirt and watered it nicely, hopefully it will survive. 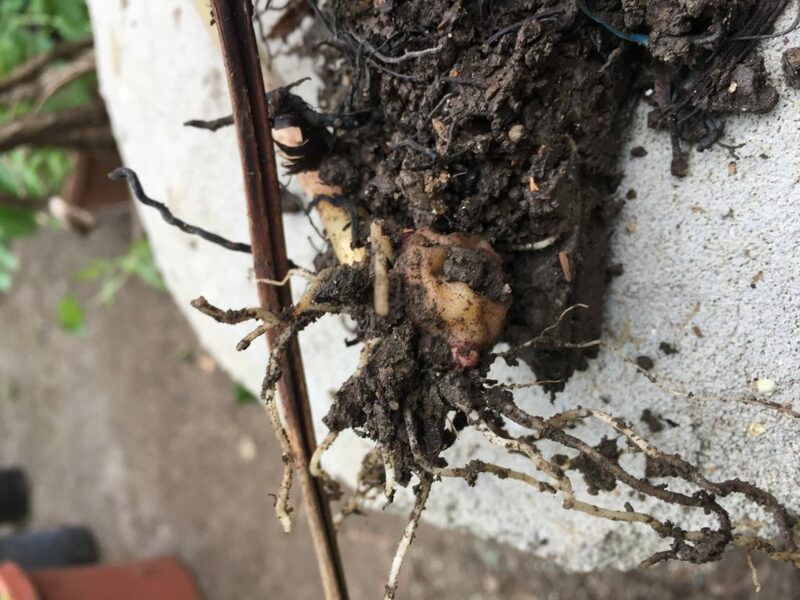 The bulb and roots resembles that of a trillium.